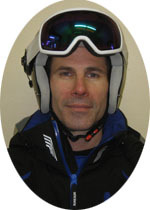 I have over 35 years of experience as an alpine ski coach at various level from NG to FIS. During my coaching career, I was fortunate to work with some of the best skiers in the province. 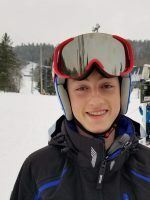 I am from a ski racing family that had success at the provincial and national level. I was hooked the very first time I put on skis. I was 2 years old at Mont Tremblant. Since that time, I learned how to ski in Edelweiss’ ski school program. At the age of 9, I joined the ski team and went from NG to U16. I am thrilled to give back to the race team by passing on to younger racers what I’ve learned over years of racing. 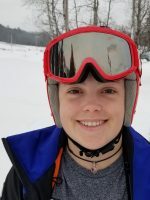 When I learned to ski at 16 it was the days of pale blue ski suits endorsed Jean-Claude Killy, but it started a lifelong passion for sliding down the white-stuff! 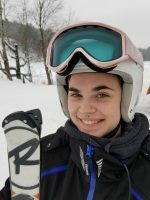 When a coach casually suggested that I would enjoy ski teaching, and save money on my family ski passes, I was hooked. 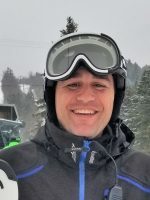 I began ski teaching at Edelweiss in 2003. Today I’m excited to be part of the race program working with our Nancy Greene athletes, happy to be passing on the love of skiing and ski racing to the next generations. Did someone say snow?…Count me in! It’s all been about skiing for me since I was 6 years old… Mt first skiing experience was at Edelweiss, on the orange T-bar (remember that?). After following teaching programs, I joined the Edelweiss Racing Team and raced throughout the Region as it continues to being done today. At age 15 I joined the Edelweiss Ski School and started teaching kids – later, I joined the Edelweiss Racing Team, but….as a coach this time! Day after day, I continue transmitting to kids of all ages the passion I have for ski, training and ski racing, as we work together at making the best possible alpine ski racing team of the area! I hope I can one day share some of my passion with you and your children. 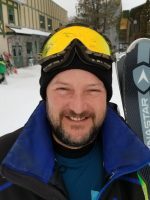 I started skiing on Montreal’s Mt. 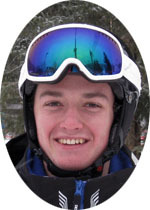 Royal at two, and grew up on the slopes of Tremblant when there were still single chairlifts. 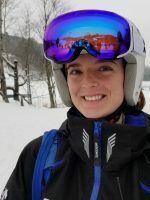 I’ve skied year-round at over a hundred ski areas from the Andes to Zermatt.First joined the Edelweiss Race Team as a parent and continued as a coach when my two daughters stopped racing. I started my official racing career late, in CEGEP then at Université de Montréal, where I competed across Quebec for seven years. 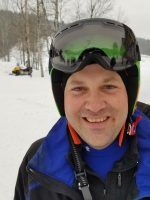 I’ve been involved in the Ottawa Masters for over a decade.I’m a former racer, but more importantly, I am a passionate skier and a parent. 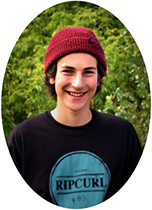 My main objective is to help the kids become better passionate skiers, which will last for years after their last race. 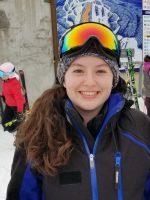 I was hooked on skiing after my first experience at Mammoth Mountain, California. 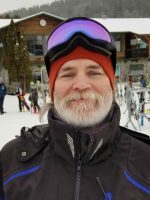 I have been teaching skiing at Edelweiss since 2003. I started working with the race team in 2012, using my experience to help new coaches and the racers. I love working with the racers and skiing fast. 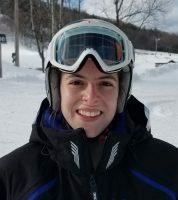 I started skiing at the age of 3 years old in the Laurentides at Vallée Bleue. I always loved skiing. I was hired at the age of 15 by the Mont Olympia ski school. I was there during 7 years. 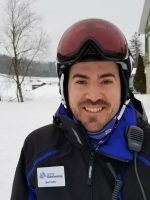 After a break of teaching ski, this year is my second season with the Nancy Greene program and I really enjoy my experience with the club. I try the best I can every week to share my passion of skiing with the athletes. I raced FIS on the Outaouais Ski Zone team (now called NCO). 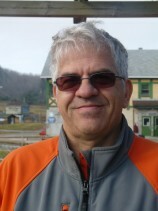 Past President for the club for 5 years. Head Coach for 3 years. 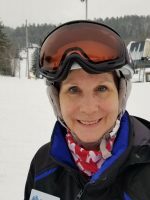 I have been coaching skiing for over 20 years, from Nancy Greene to the Masters. Currently Lead Coach for U14. I have a daughter racing in the U16 program. I am looking forward to the best season ever at Sommet Edelweiss. 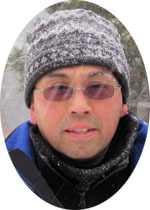 I started skiing at a small hill in Ontario called Batawa at the age of 4. 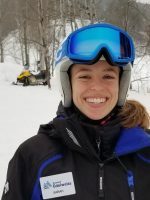 Soon after getting on skis I was in the Nancy Greene program and continued to race in the Southern Ontario Division under the old K1/K2 (etc) program until I was 18. While I’ve been away from racing for a few years due to University and work, I’ve found my way back to the sport recently with a vengeance and couldn’t be happier. 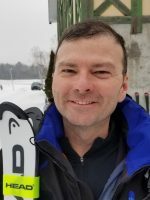 Along with coaching at Edelweiss I also race in the local Masters circuit, and I can honestly say that when you spend at least 5 days a week skiing these Ottawa winters don’t seem so long! 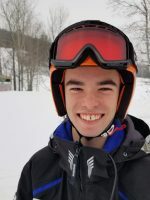 My aim is to share my passion for the sport with all the kids I coach, and to create not just competitive athletes but lifelong skiers and friendships as well! Ski Racing is a special lifestyle, and I feel extremely fortunate to be part of the Edelweiss team. I’ve been part of the Edelweiss Race Team since I was in U12 and I’m so glad to come back as a coach. This hill and the people who ski/work here have always seemed like a second home to me.